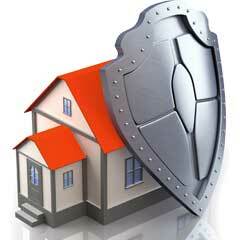 Invite a professional security consultant to visit you at home. They can evaluate your current set up and make suggestions based on your needs. Some companies will do a high pressure sales pitch to get you to commit to their security system right on the spot. If you are not comfortable with inviting a sales consultant into your home, you can conduct consultations over the phone. It is a good idea to meet with at least three companies before you decide which one to go with. During the consultation, you will learn about costs, equipment options, and any contract required. This information can help you decide what will work best for your home. Wired security systems are wired directly into your home. They do carry a risk because they can be disabled if the burglar cuts the wire. Wired systems also require a landline phone, which many homes no longer have. Wireless security systems on the other hand cannot be disabled this way and are a great option for renters, or people who do not have a landline telephones. The wireless systems work with cell phones, and because they do not need to be hardwired into the home do not cause damage to the walls. Many security systems have the option to do either a professional installation, or a do-it-yourself installation. Depending on the company you go with, do-it-yourself installation may not be an option, however if you do have that option and you are confident enough in your own ability to install the system it can save you a lot of money. Even if you cannot install the system yourself, you may know someone who would be willing to do it for you at a more affordable cost than professional installation. Ask questions about the installation options during the consultation with each security company you speak to. While most home security companies selling you a home security system are also selling you their monitoring options, many security systems out there also offer the self-monitoring option. Professionally monitored systems can monitor a number of things, including: break-in, carbon monoxide levels, temperatures and humidity, flooding from a broken pipe or frozen line, smoke and fire, and more. Professionally monitored systems contact you when they notice something out of the ordinary, and will contact the necessary authorities right away. Self monitoring systems are more affordable, but leave you in charge of monitoring your home security system through your smart phones, tablet, or laptop. The more options included with your security system, the more control you have from your mobile devices. However, in the event of an emergency, you must choose what to do. There is always the chance you will miss the notification, which can make a tremendous difference in the outcome depending on what set the alarm off. Only you can decide the right monitoring options for your home and your budget.